Meralco remained winless and witless in the 2015-2016 PBA Philippine Cup even as Ginebra continued to flounder after losing to San Miguel Beer. Barako Bull withstood a 40-point explosion from Gary David to keep Meralco winless, 108-106, in the 2016 Smart Bro PBA Philippine Cup Sunday at Philsports Arena in Pasig. 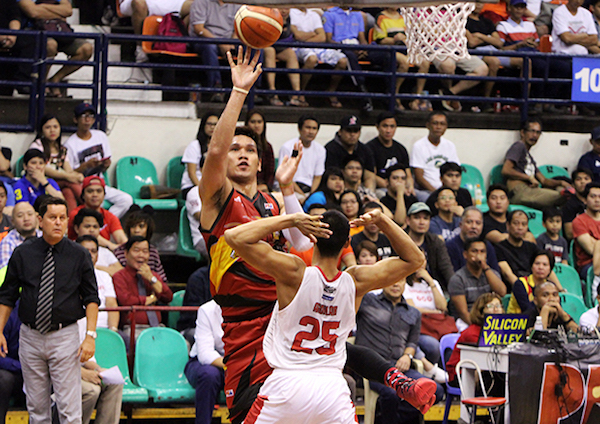 Josh Urbiztondo scored 24 points and had three steals to help the Energy win their second game in four outings. Veteran guard Gary David scored 40 points on 14-of-21 shooting from the field but his impressive shooting performance wasn’t enough as the Bolts remained as the only team yet to win after dropping to 0-4. 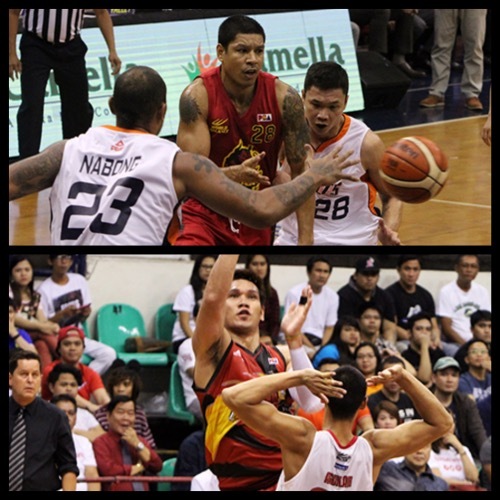 RR Garcia and Willy Wilson also came up big for Barako Bull with 18 and 17 points, respectively. Josh Urbiztondo (BAR) - 24pts, 3rebs, 2asts, 3stls, 4 triples, 10/17 FGs. Gary David (MER) - 40pts, 7rebs, 3asts, 7 triples, 14/21 FGs. 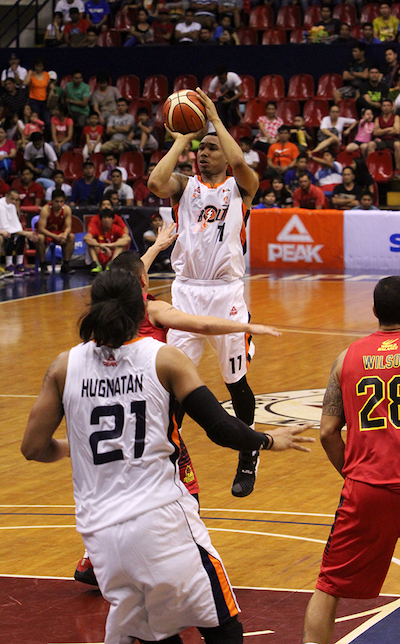 Rookie Chris Newsome has been a revelation for Meralco. 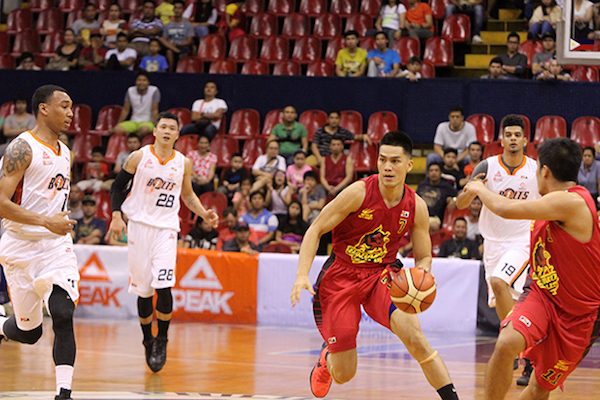 JC Intal helped lead Barako Bull to a big win over Meralco. Willy Wilson has been having his best season yet. June Mar Fajardo bested Greg Slaughter in a clash between two of most dominant centers in the PBA today and San Miguel Beer overwhelmed Barangay Ginebra in the second half en route to a 100-82 blowout win in the 2016 Smart Bro PBA Philippine Cup Sunday night at Philsports Arena in Pasig. Fajardo, the reigning two-time MVP, posted a double-double with 22 points and 12 rebounds on 52% shooting while also getting help from several of his teammates. Arwind Santos scored 20 of his game-high 24 points in the first half, Ronald Tubid drilled in four 3-pointers for a 15-point night, Marcio Lassiter added 13 points while Chris Ross had 10 points, four rebounds, eight assists and two steals for the Beermen, who climbed to 4-1. Slaughter also recorded a double-double with 21 points and 11 rebounds while Japeth Aguilar had 21 points and nine boards for the Kings, who fell to 1-3. 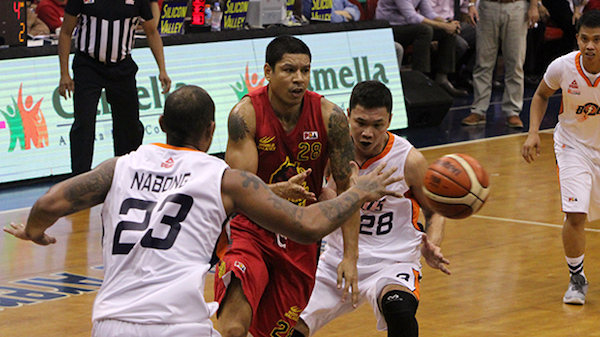 The Beermen hit 14 3-pointers while the Kings missed all of their 12 attempts from long range. June Mar Fajardo (SMB) - 22pts, 14rebs, 2stls, 1ast, 9/17 FGs. Greg Slaughter (GIN) - 21pts, 11rebs, 3asts, 2blks, 1stl. 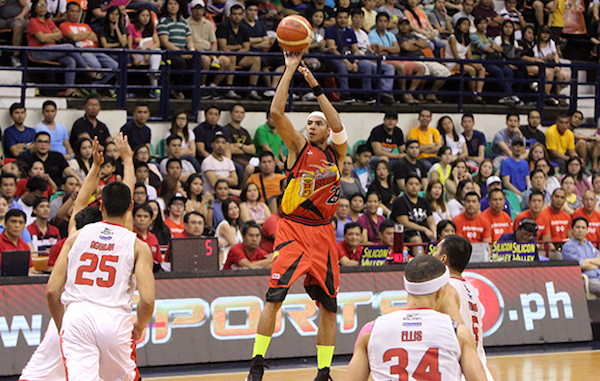 Arwind Santos pops the cap on a three against Ginebra. 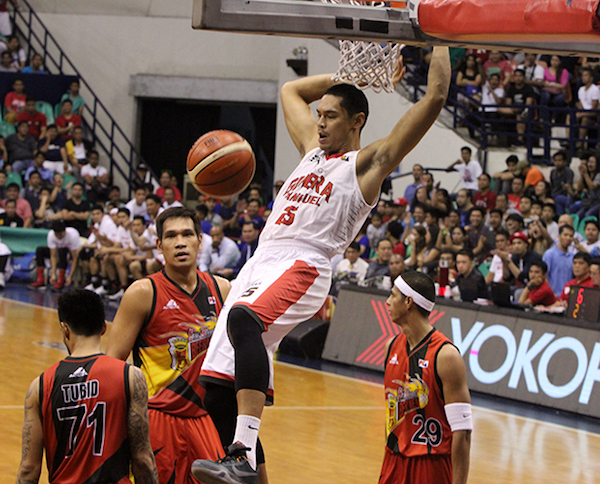 Japeth Aguilar slams one home for the Gin Kings. June Mar Fajardo tries an off-balance turnaround J for SMB.